I hope you have all enjoyed the holidays so far. I know I have because our children are here for a visit. If you know our kiddos, that means go! go! go! They arrived on the 18th in Vallarta and so we enjoyed a week on the beach. It was mostly relaxing. Then we headed 'home' to Guadalajara. Here they had basically one goal - EAT TACOS! The rest was just gravy! The above photo is at their favourite taco place here in Guadalajara. They serve all kinds of tacos here: beef (NOT ground), pork, tongue, cheek, brain, head, etc. This evening they each ate 12 tacos and told the guys they served the WORLD'S BEST TACOS! Aside from some good eats we have just enjoyed being together after being apart for a year. They joined us at the gym, we did some sight seeing, hung out with some friends they met last year and all around had fun. They are leaving soon, for which we are sad, but can't complain as I would have never dreamed they would be able to come two years in a row! God has been so good to us in 2015 and we can only anticipate the same, as that is the kind of God we serve - faithful. We want to wish each and every one of you a very wonderful 2016. May God bless and keep each one of you in His tender care. Happy New Year! We are so very blessed that our children have once again come for a visit. We are enjoying a week at the beach and then they will enjoy a week at our place in Guadalajara. They traded for a Palm Tree Christmas from a White Christmas. We wish you all an enjoyable time with friends and family, celebrating the coming of our Saviour. So as you might remember me saying, our friend Jessy has been here visiting for the past 2 months. 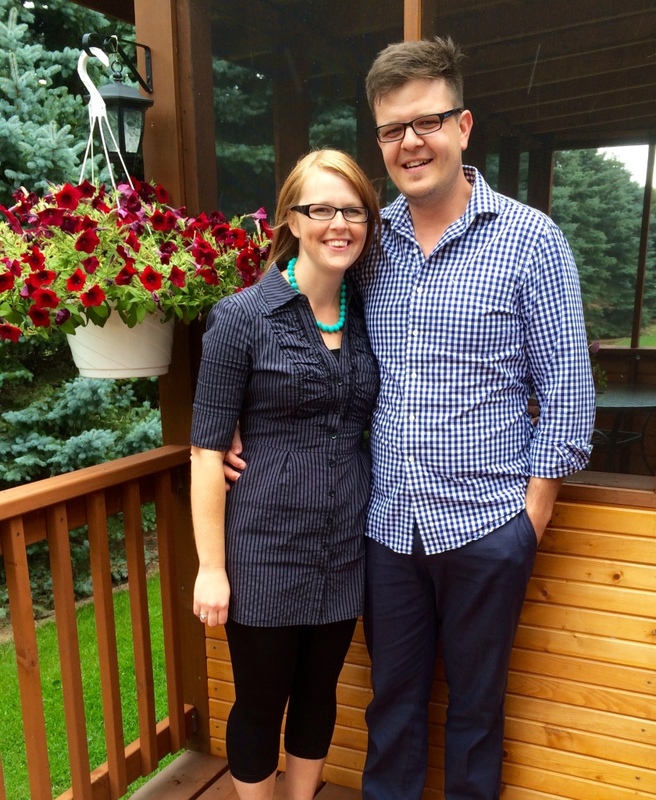 She was joined by her boyfriend Peter Fehr this past week and we have really enjoyed having them. Peter has brought his many talents with him, and we have been the lucky recipients. Peter is a chef and so Peter and Jessy decided to bless our little group with a special home cooked meal. On Monday night I hosted dinner at our place. Peter, our resident Chef, and Jessy, his sous chef, prepared the meal. I enjoyed mostly watching and learning. I did offer to cut, chop and the like, if that counts?! So, following are pictures of the evening. Like all good banquets, we had sponsors! Since Peter has a business, and sells finishing sauces, we made him the sponsor! (You can check his business out on Facebook or check them out at Prairie Oils and Vinegars, The Forks or Winkler Co-op. Commercial ends here. The boys got mashed potatoes, one string bean (as per instructions by the boys), mozza sticks, and chicken. It was a lovely evening together and a real blessing for each one of us. Thanks Peter and Jessy, you have no idea how much you have blessed us. December in Mexico is the season of Posadas - Christmas get togethers. Today the talk at the gym was about how many they each had coming up. Some had as many as three in one day. Complicated. You see, here everybody belongs to groups of friends. School moms are in a group, gym friends are in groups, the guys have a poker group, a soccer group, a work group and this group and that group. Each group seems to plan their own little 'posada'. They also don't seem to mix groups very easily. I have one for my power-ball and dance instructor, which is separate and distinct from the other dance/muscle toning instructor. Therefore, I have 2 different parties. Not to mention the over arching gym party. 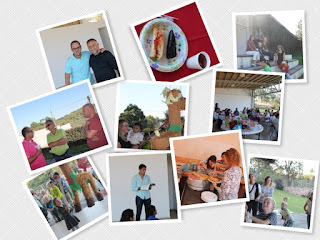 One thing can be said about the Mexican people - any reason to get together is a good one. The more the merrier. 10 parties is better than 1. So, we had our cell group posada this past Sunday. We once again headed to Rick and Ale's terraza just out of the city. We began with snacks and socializing. Then we had the traditional meal, tamales! Yum! Yum! Lots of flavours and even more calories!! To drink we enjoyed 'ponche' which is a warm fruit drink with the fruit pieces in it. This was followed by an ice breaker game led by Alison (our Ascend student) and Paulina (from Wiebe's group) as her translator. Fun was had, along with a bit of a competitive spirit. From there we all settled down and Sergio read the Christmas story from Luke and Juan shared from the Word of God. Then we opened it up to sharing about Christmas. A few tears where shed, as some shared stories of loved ones that had 'gone home' and would not be there for Christmas. It was a time of sweet fellowship. We rounded the day off with some dessert. Ana had made traditional Buñuelos, which were enjoyed by all. The socializing continued and the goodbyes dragged on and on. We hit the road for home as the sun was setting. A lovely day remembering the reason for the season. We trust you too will enjoy many rich gatherings this holiday season. We are looking forward to our children arriving in 10 days. So we are getting the best gift once again. Last night we had our cell group meeting, kind of impromptu and unclear as to whether this was a Christmas party or not. As we awaited the arrival of everyone, we sat in our living room. I don't set up a Christmas tree but rather have a Nativity Scene. This let to a discussion of its origins. Apparently the first Nativity Scenes were done by St. Francis of Agassiz and they were live people. His reason for promoting the nativity scene was that the true meaning of Christmas was being forgotten. People had become more interested in gift exchanging. I think we have come full circle. Why do I chose to put up a Nativity Scene instead of a tree? Because it is a conversation starter. Some people who come into our home are amazed to see it. You celebrate that? You believe that? Which then leads to 'why is the baby Jesus already there?' 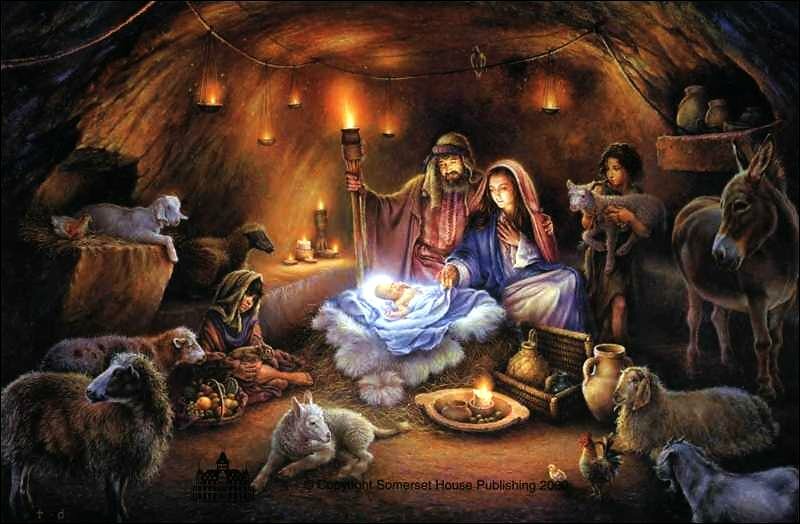 Catholics only place the baby in the scene on Christmas day because that is when he arrived. I think we need to return to St. Francis' idea and bring people back to the real meaning of Christmas. Let's quit arguing about some coffee chain and their 'non-Christmas' red cup. Let's put up our scenes in a prominent place and talk to our children about the story. Let's explain why we celebrate and, like from centuries ago, leave it up all year. Then let's tell the story again and again. Then let's not forget what comes next - Easter! He came (incarnation), but the most important part is His death and resurrection. It's a story worth repeating and repeating.